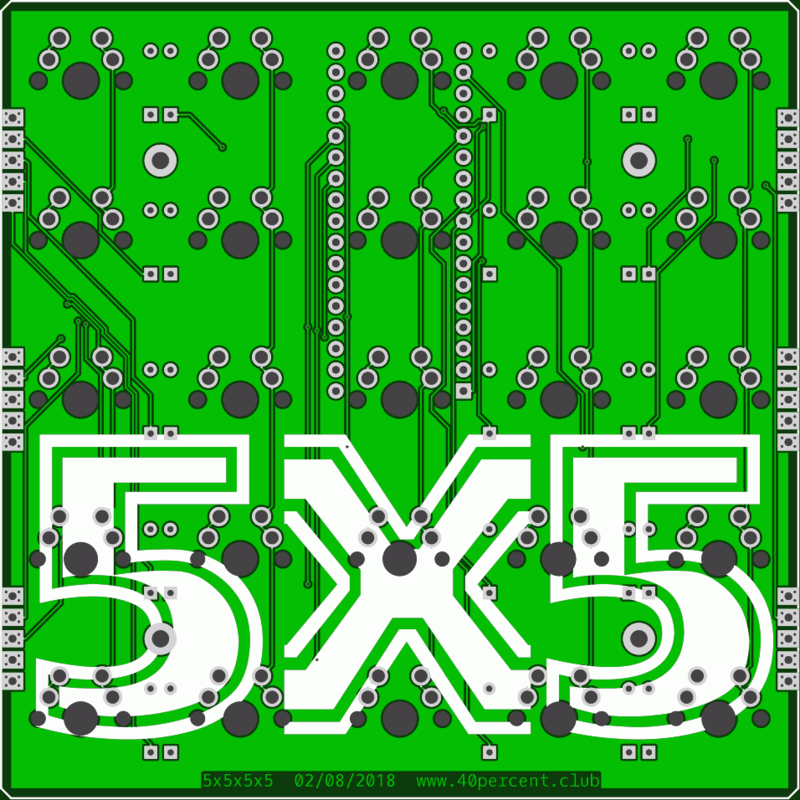 Up to three of these 5x5 matrices can be connected together, controlled by a single Arduino Micro clone. This works in the same way as the 4x4x4x4x4. 5x5, 5x10 and 5x15 matrices can be built with these boards.The solder pads on the edges of the boards make the electrical connections for the matrix. 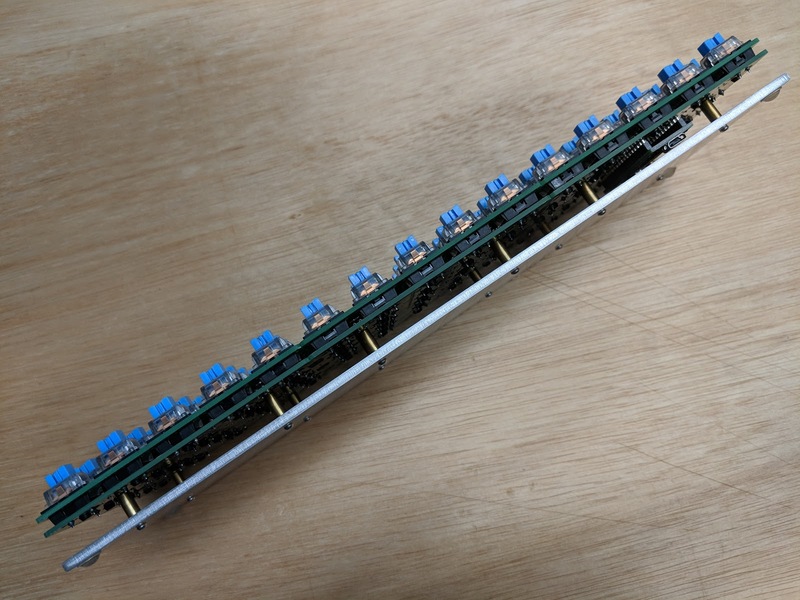 They can be soldered with large solder bridges, or headers can be installed and shunts used to connect the boards. Examples of how this works can be seen in the 4x4x4x4x4 post. TMK firmware on github. Gerbers also on Github. 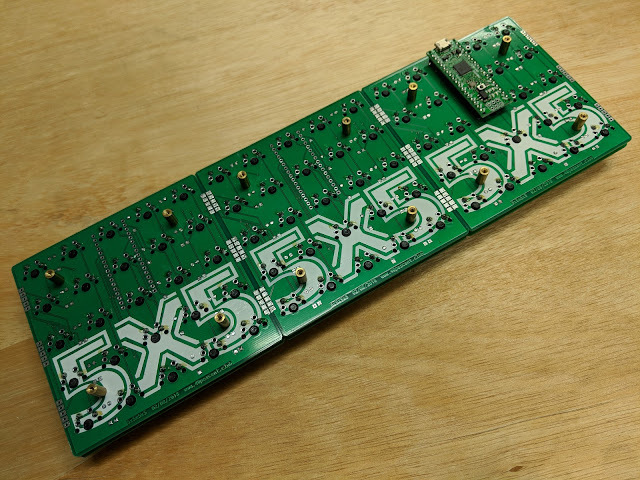 Three 5x5 boards as a 60% 5x15. 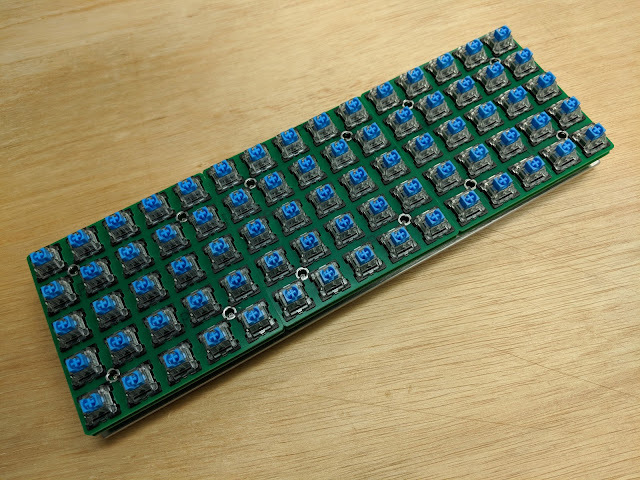 Recycled Outemu switches from a cheap board. Thick 1/8" 5052 aluminum plate purchased off eBay. 11.25x3.75". 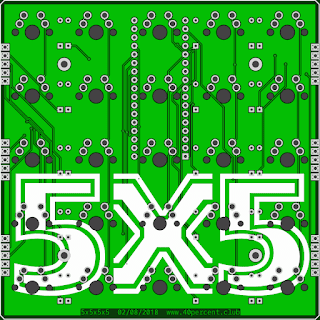 Each PCB is exactly 3.75" square. Bottom of the assembled board. The solder bridges are on the other side of the PCB. Green Arduino Micro clone socketed on the first PCB. 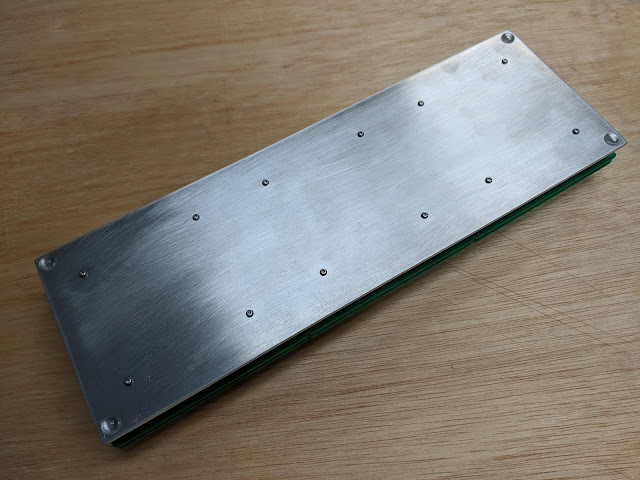 Top plate has holes large enough for most screw heads to fit through. 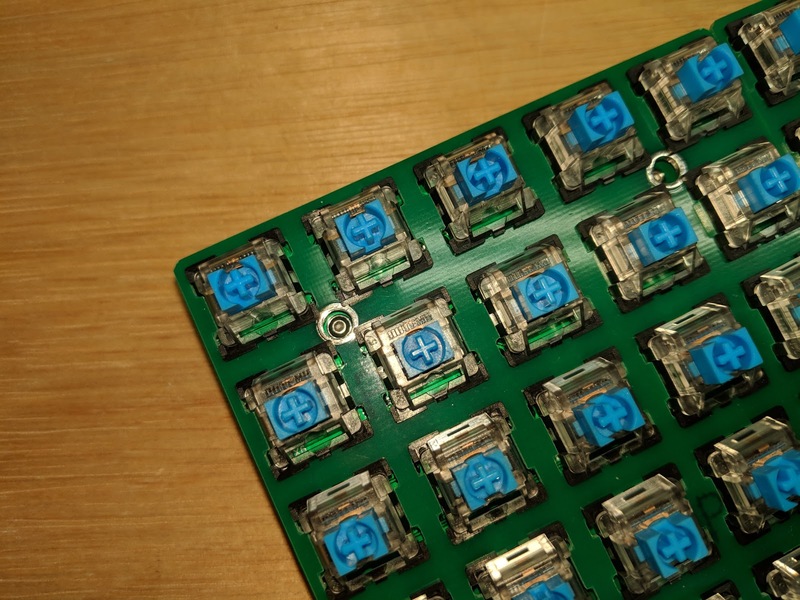 PCB can be assembled without the plate if PCB mount switches are used.